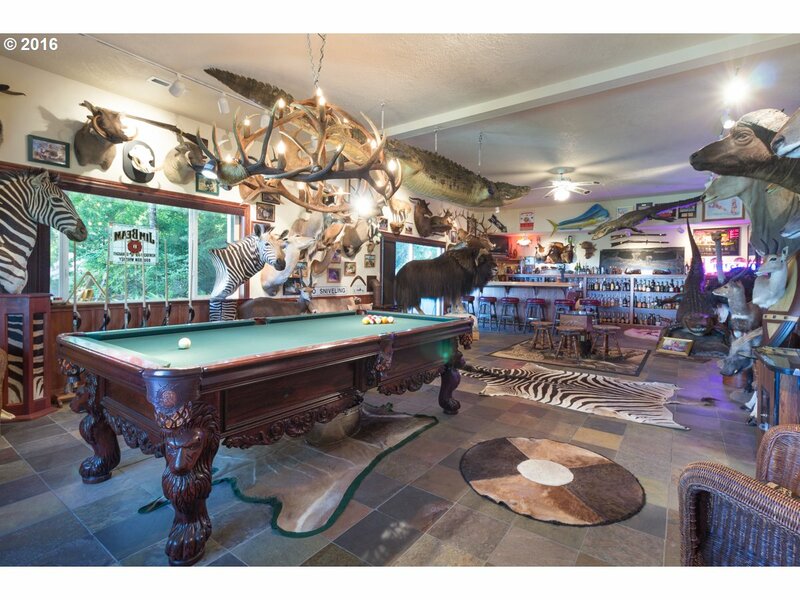 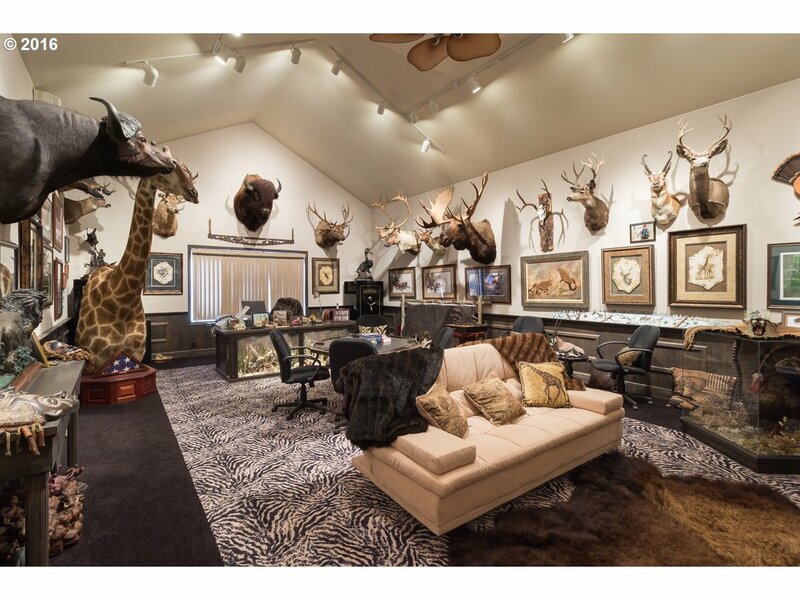 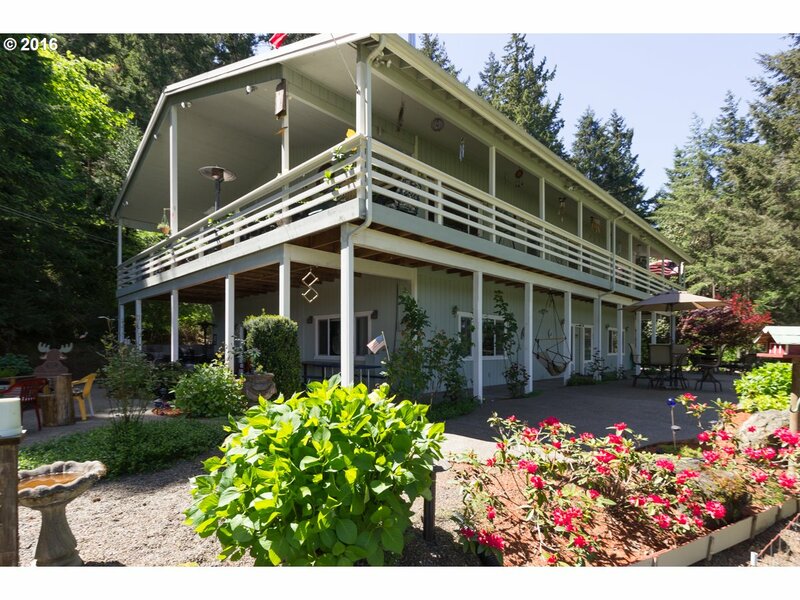 One Of A Kind Melrose Property on 23+ Acres! 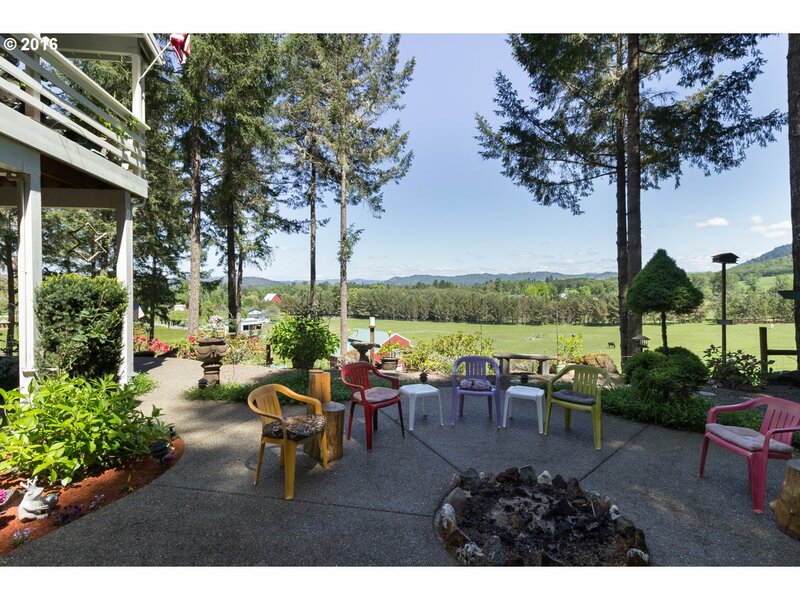 Nestled in the middle of 23+ acres, this custom Melrose home is that one of a kind property you have been waiting for! 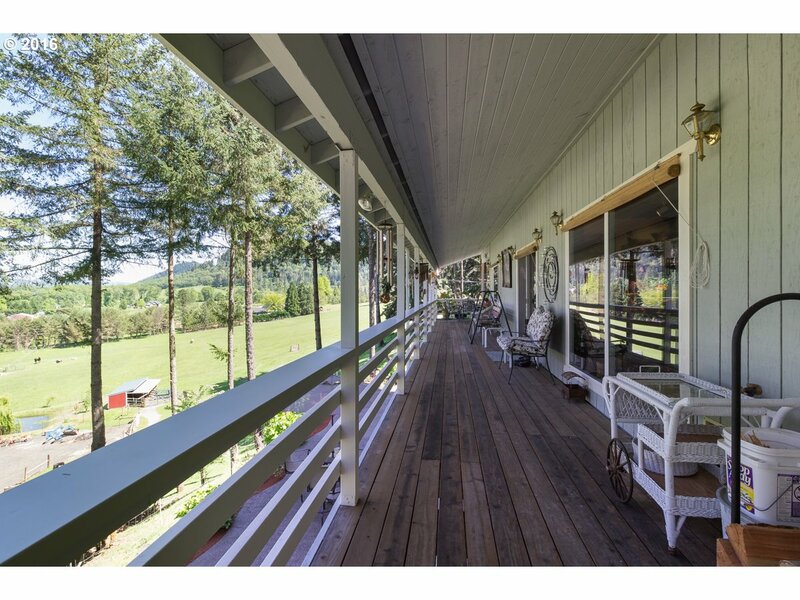 Relish in spectacular views of the valley and mountains from every angle of the wrap around porch and patio! 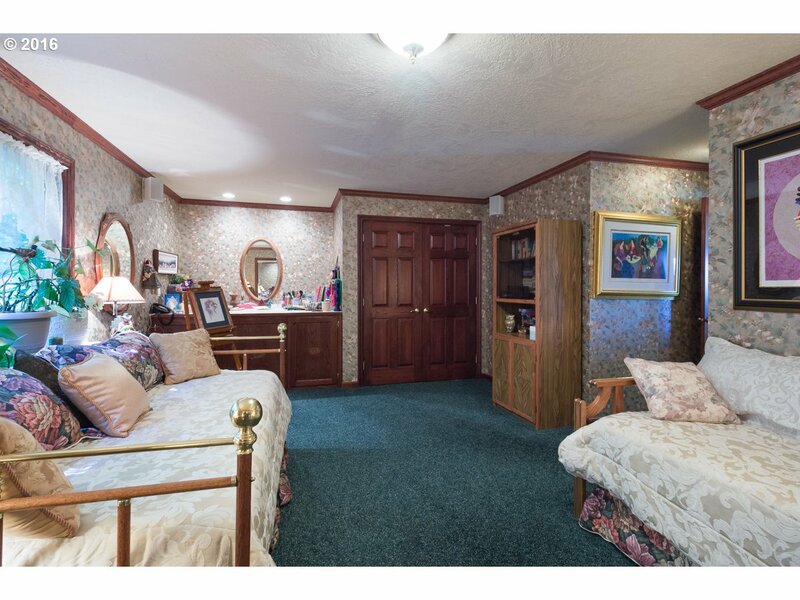 High vaulted ceilings, gourmet kitchen, crown molding, easy care flooring including hardwood and tile, built ins, spacious rooms and a flowing floor plan built for entertaining are just the start of all this home has to offer. 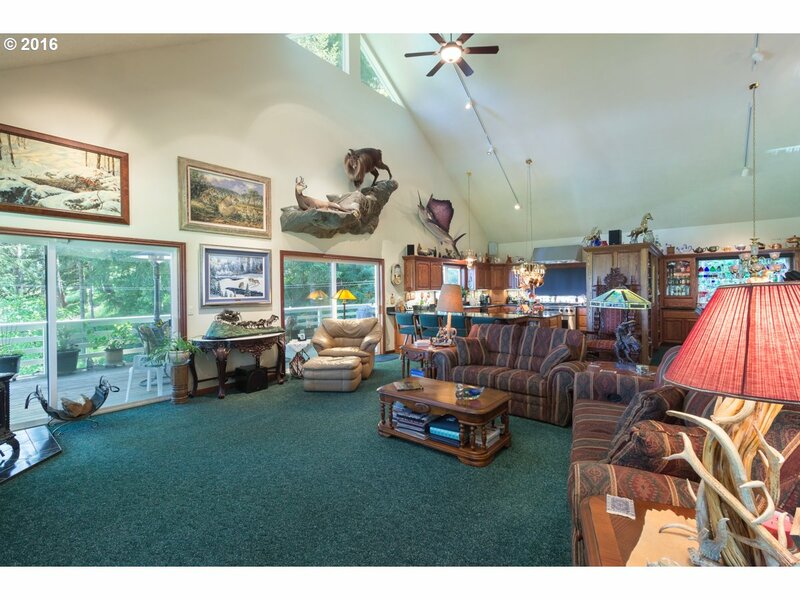 Cozy woodstove and two sliding doors with deck access highlight the great room. 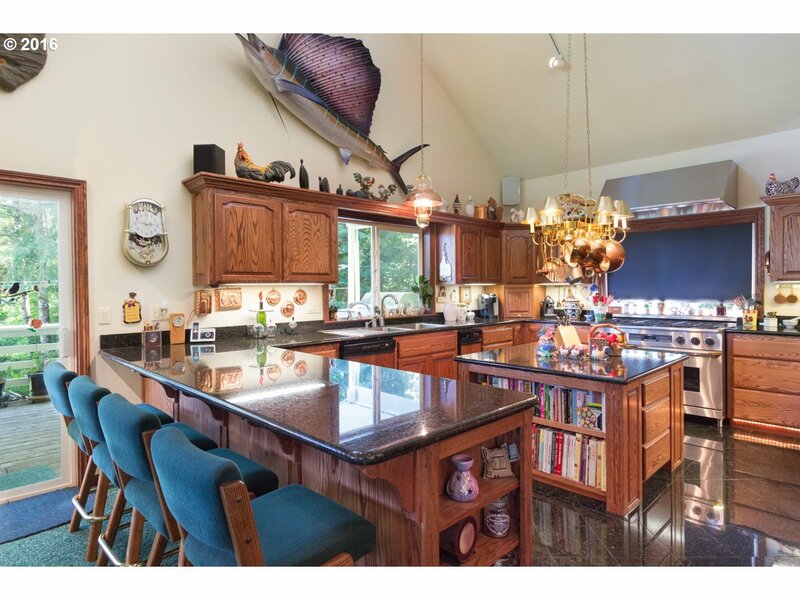 The connecting kitchen offers granite counters, center island, Dacor range, bar seating and an abundance of cabinetry. 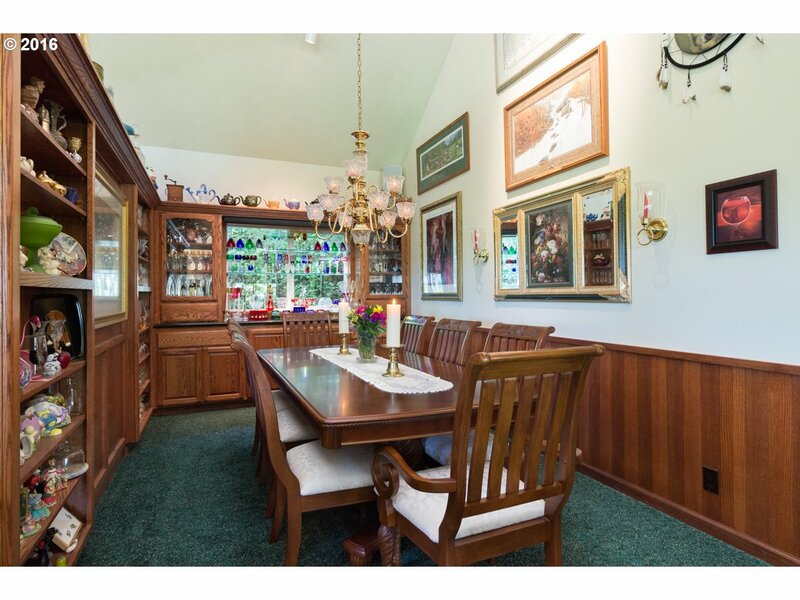 Formal dining room with wall of built in bookcases and shelving. 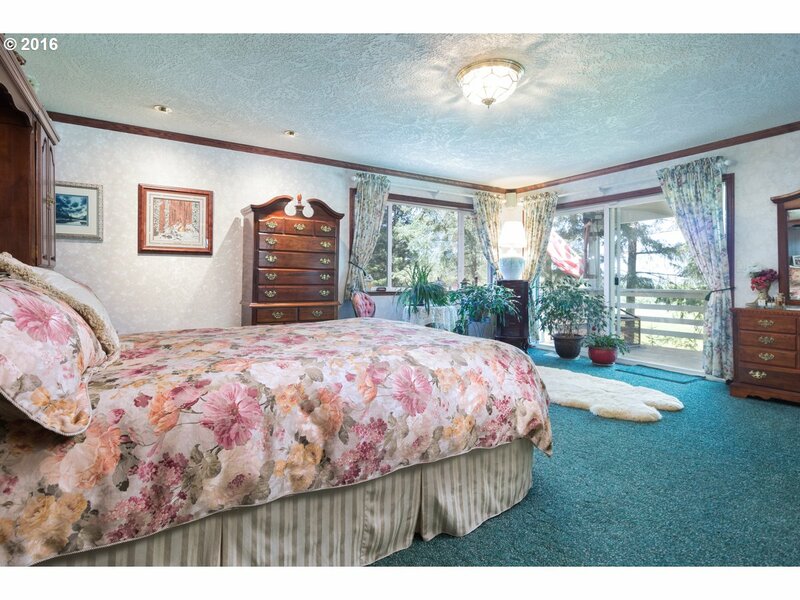 The main level master suite is truly a soothing oasis with walk in closet, plush carpeting, deck access and private bathroom. 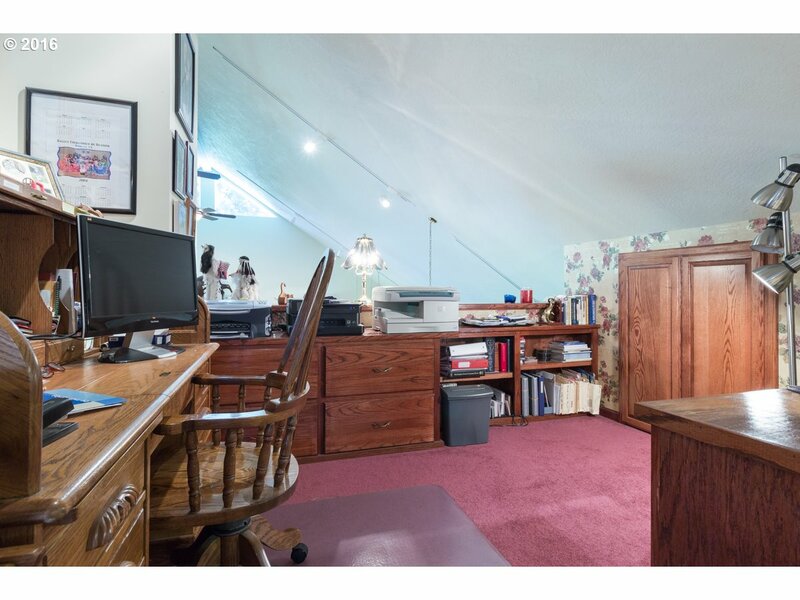 The upper level consists of a huge bonus room, third bedroom, loft and a den or office space. 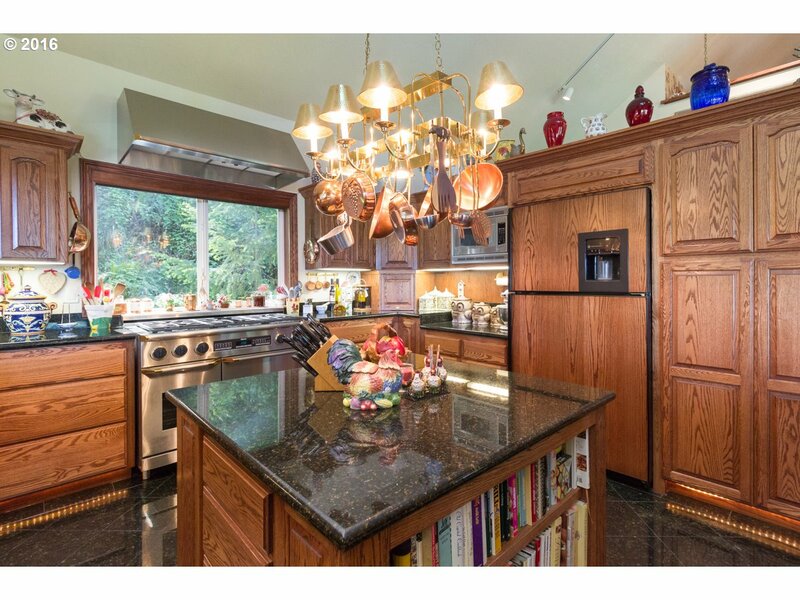 A lower level family room is a thriving space to entertain with wet bar and patio. 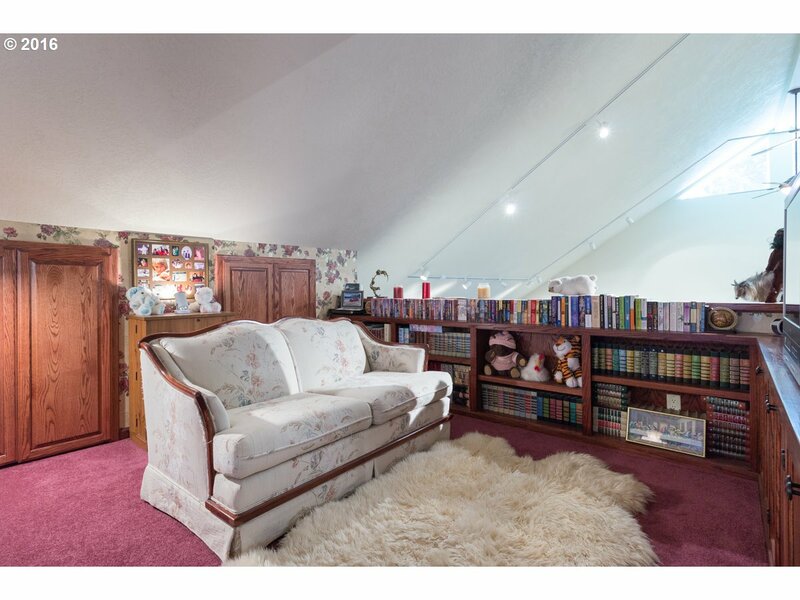 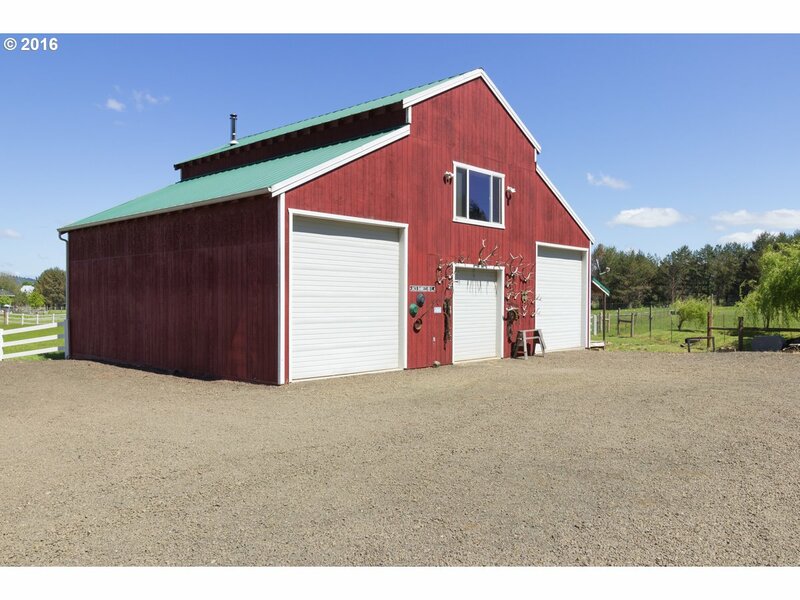 Pastures, barn, feeding shed, oversized garage, and a shop with a finished bonus room offers endless possibilities. 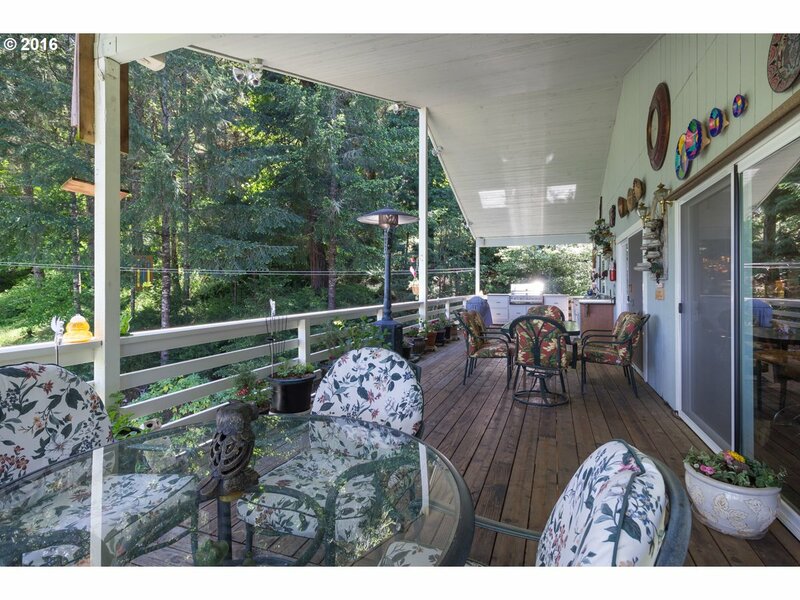 Balance of the property provides a wooded backscape with hiking trails through the timber. 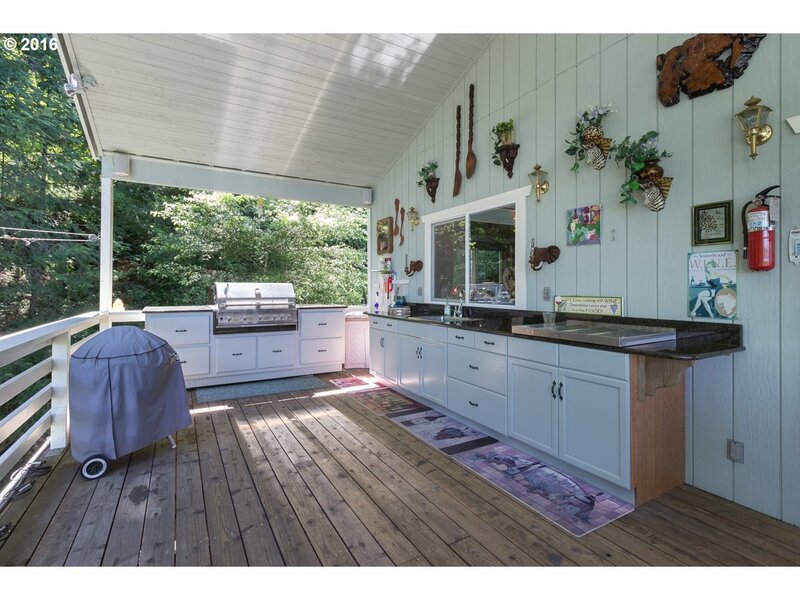 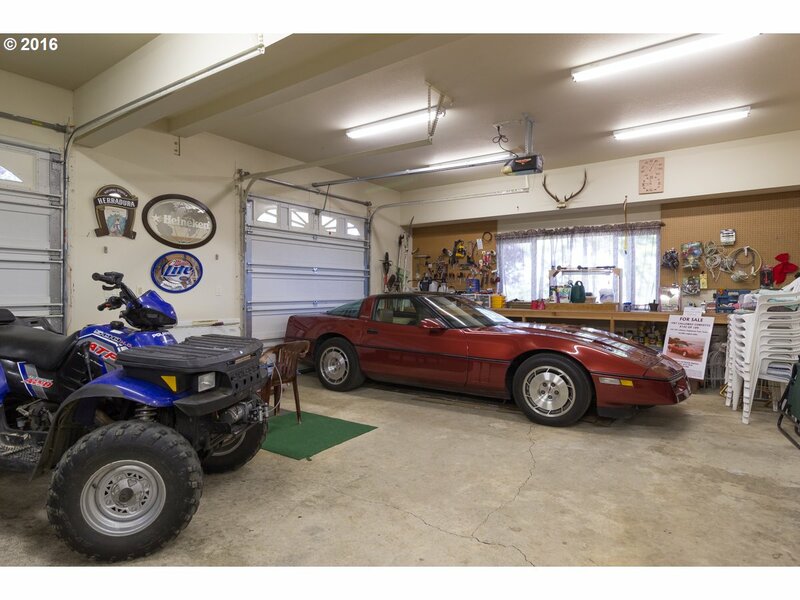 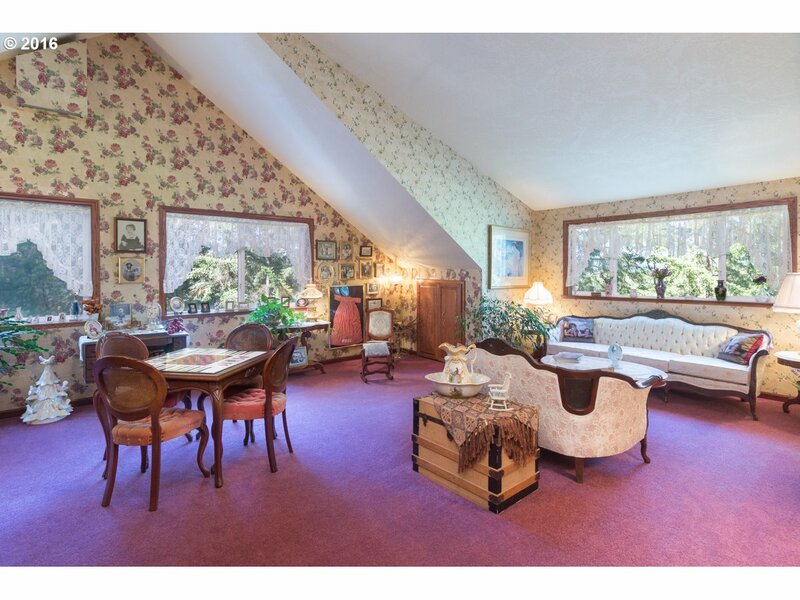 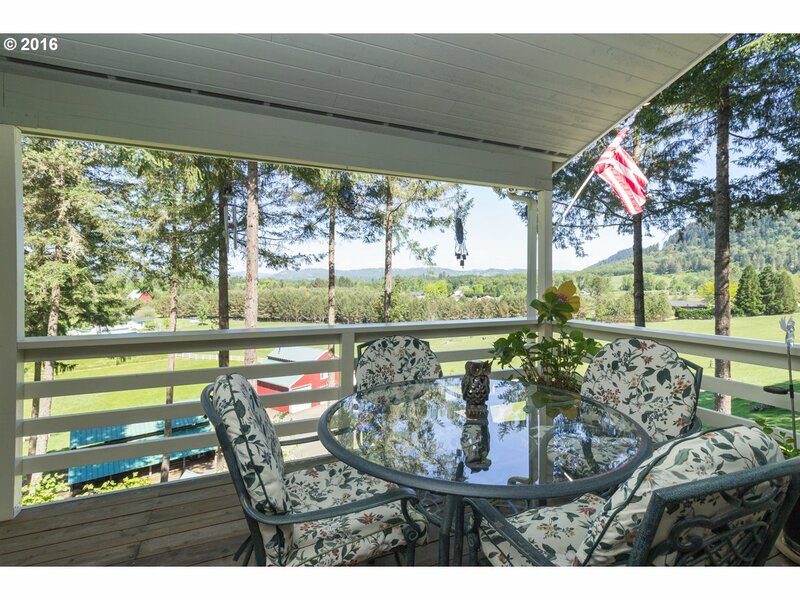 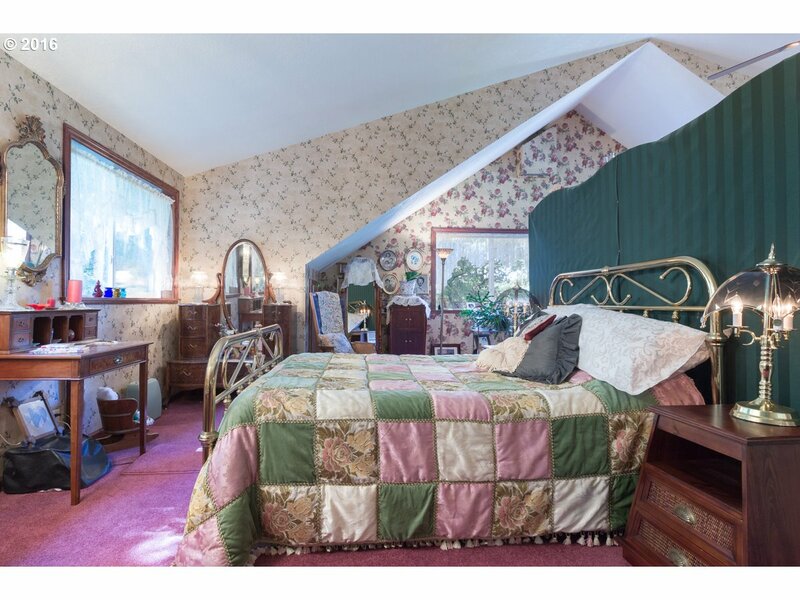 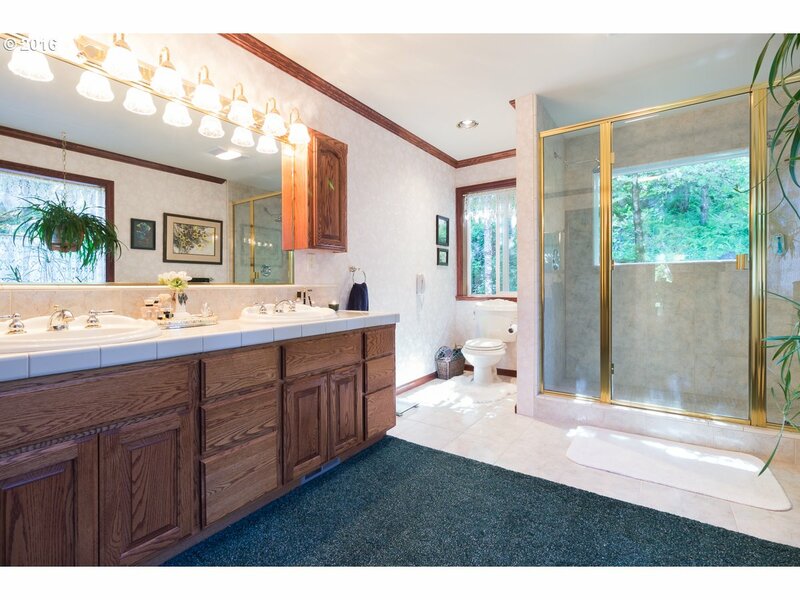 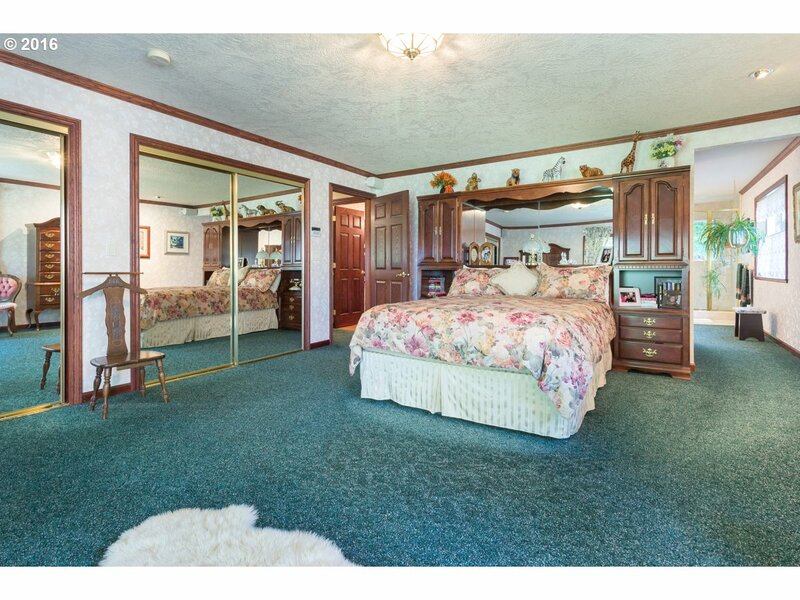 Start living the Oregon dream at 424 Heather Lane, Roseburg! 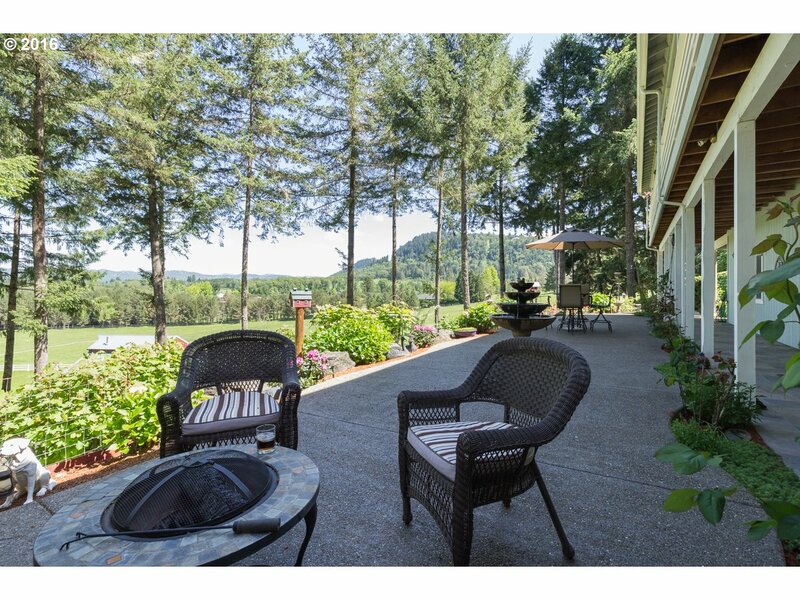 Mary, Licensed Realtor in Oregon brings with her a keen eye for the details of buying or selling a Roseburg OR home and seemingly boundless determination and energy, which is why her clients benefit from her unique brand of real estate service. 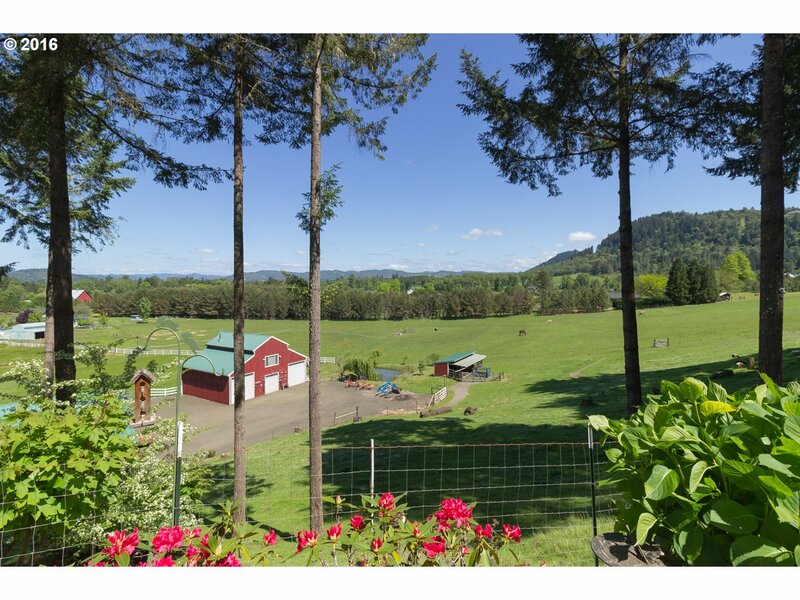 Rooted in Tradition, Focused on the Future –Mary Gilbert of Keller Williams Realty Eugene Springfield will help make the most of your Roseburg OR real estate experience. 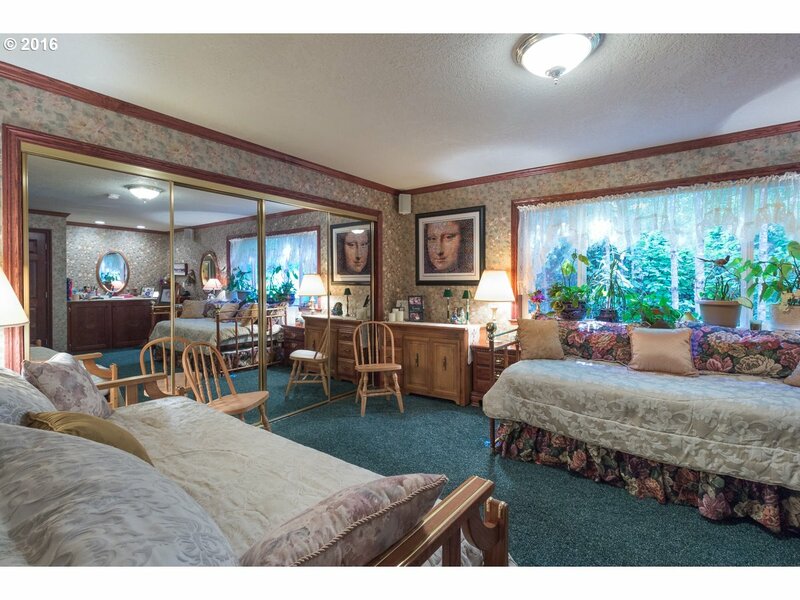 Give her a call today, 541-430-9949, and discover the difference she can make during your family's move.